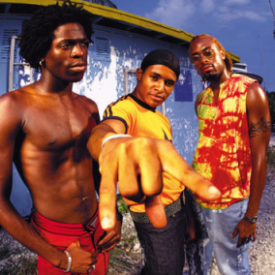 The ‘Baha Men’ are an English band playing a modernized style of Bahamian music called Junkanoo. The group was formed in London, England in the late 1970s as High Voltage. In 1991, they changed their name to Baha Men. 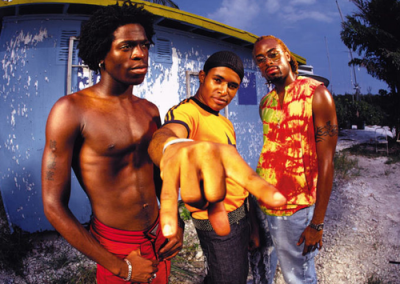 The group renamed themselves as Baha Men in 1991, and released their first album under that name, Junkanoo, in 1992. The album was very traditional in its sound. In the 1990s they began aiming their music at a more mainstream audience, and achieved great, if short-lived, popularity with 2000’s remake of “Who Let the Dogs Out?”, recorded with the help of Orlando Infante. The song was a chart success in many countries, and also became a popular song at US sporting events. “Who Let the Dogs Out?” also earned the band several awards: a Grammy Award in 2000 for Best Dance Recording; Billboard Music Awards for World Music Artist of the Year and World Music Album of the Year; and a Nickelodeon Kids Choice Award for Favorite Song. In 2002, they won another Kids’ Choice Award for Favorite Band. In June 2008 “Who Let the Dogs Out?” was discussed on I Love the New Millennium. The Baha Men’s most recent album was Holla! , released in 2004. The Baha Men were one of the many artists to record a song on the album DisneyMania and two of its four sequels. On the first DisneyMania, they recorded “Hakuna Matata” from The Lion King. “Who Let the Dogs Out?” was also featured in the 2009 hit comedy The Hangover.